Great day sailer in good condition with trailer. Very stable, wide beam boat yet very fast. 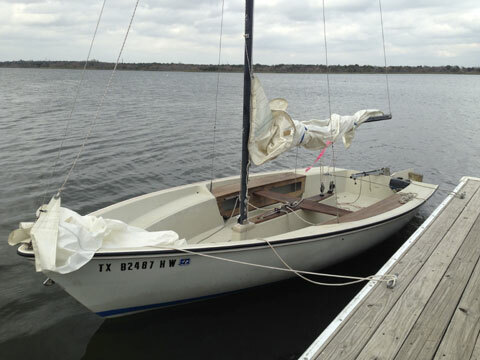 Sits high on the water and sails like it should. 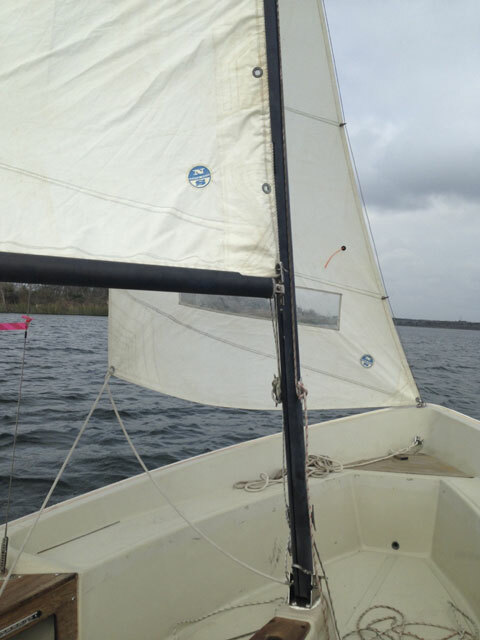 I've sail her with up to 6 people but can handle her alone with both sails. Easy to rig and launch. Great for fishing and swimming, too! Cuddy cabin removed for additional seating space but can be remounted. 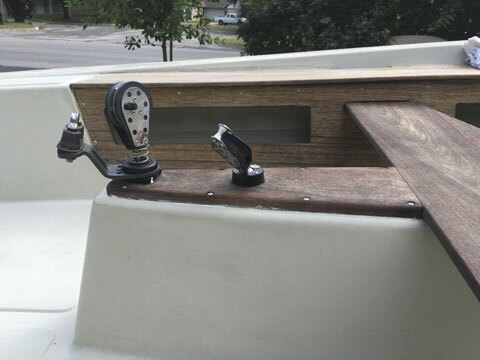 Anchor compartment with mahogany cover. Mahogany bench seats with storage underneath. 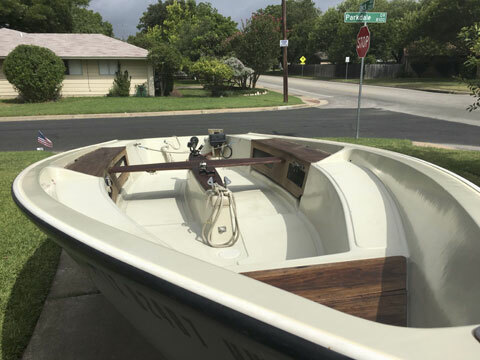 Teak thwart and centerboard trunk cover. 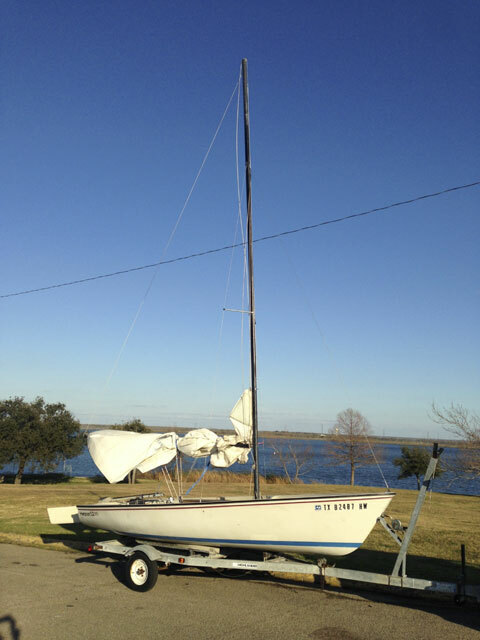 Comes with main sail and jib. No spinnaker. Has outboard motor mount but no motor included. Works ok with electric trolling motor or gas outboard. Trailer in good condition, good tires, new bearings, new lights.